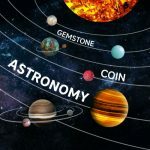 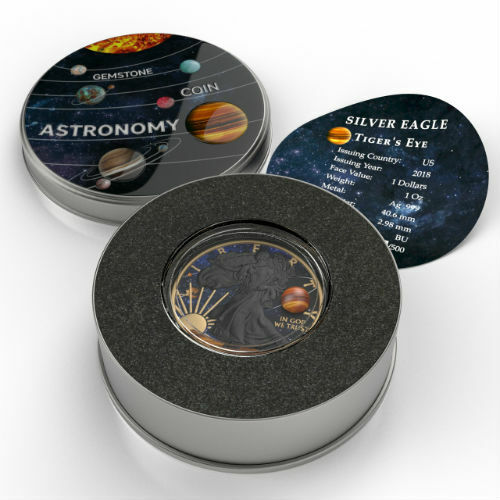 This is the first coin in series of Astronomy. 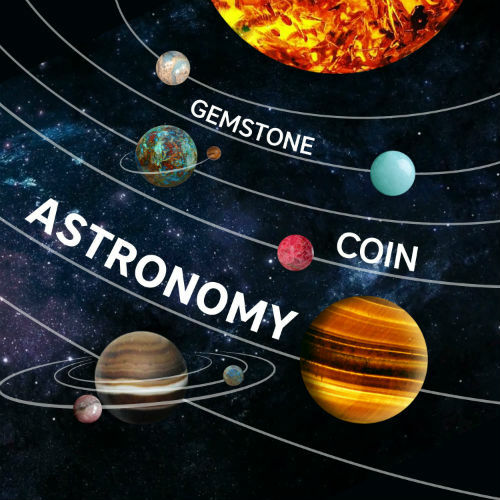 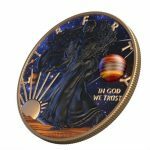 Each coin in the series will contain a gemstone visually similar to the planet it represents. 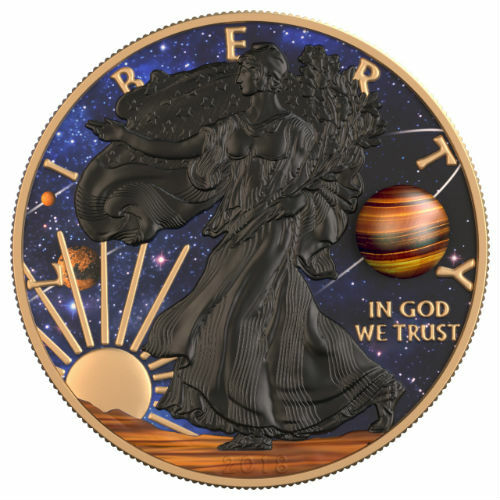 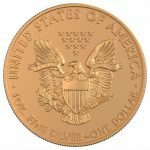 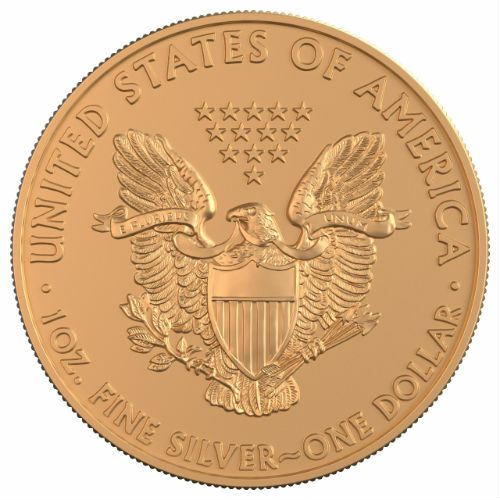 Coin is colored and has a 24K gold finish.